Xbox 360 recently announced its continued sponsorship of Ibiza Rocks 2012 for the fifth year running. As part of the partnership, Xbox will be working with Ibiza Rocks at the Ibiza Rocks Hotel, hosting hands-on with the latest games, competitions to win a VIP trip to the island and more. The new campaign will hero the Guinness World Record-setting Kinect for Xbox 360, and includes a nationwide search for two individuals to win the ultimate summer job, to work as Xbox’s official representatives in Ibiza. The winners will become Xbox on-the-ground representatives with responsibilities such as events management. To enter, applicants simply need to answer a short questionnaire proving how creative they can be via the Kinect for Xbox 360 Facebook page. All the entries will be considered and a shortlist will be created for the final stage where they will be interviewed by an expert judging panel. 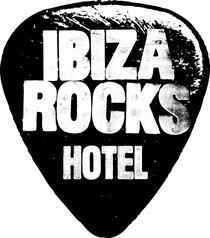 The two winners will be provided with free accommodation, flights and a wage whilst on the White Isle, and will be given access to all of the gigs and events occurring at the Ibiza Rocks Hotel during their stay. If you’re not lucky enough to win the opportunity to be an Xbox Guide, there will be plenty of opportunities to win VIP trips over to the Ibiza Rocks Hotel through the Kinect for Xbox 360 Facebook page, Xbox LIVE and Twitter.